Making documentaries is a difficult labor of love, and once the hard work is complete and your film is finished and released, a new set of challenges arises. How do you keep your audience engaged and continue to reach new markets after your film becomes available online? I recently had the pleasure of meeting filmmaker and fellow New York Women in Film & Television member Yael Melamede, who shared some incredible insights on working at the intersection of film and education, and ways filmmakers can use all of the tools at their disposal to maximize the reach of a project. Her last film, (Dis)Honesty - The Truth About Lies, takes an engaging, informative look at how and why people lie, pairing the social experiments and research work of behavioral economist Dan Ariely with personal stories about experiences of lying from a diverse group of individuals. Even before meeting Melamede, I had heard about her film everywhere this fall - social media, industry newsletter emails, personal recommendations, and special event listings. Since its festival run, theatrical release, and CNBC broadcast premiere this spring, (Dis)Honesty has maintained buzz. Melamede serves as an inspiration to filmmakers looking for ways to continue reaching new audiences and further the discussion around their film's subject long after the initial theatrical release. 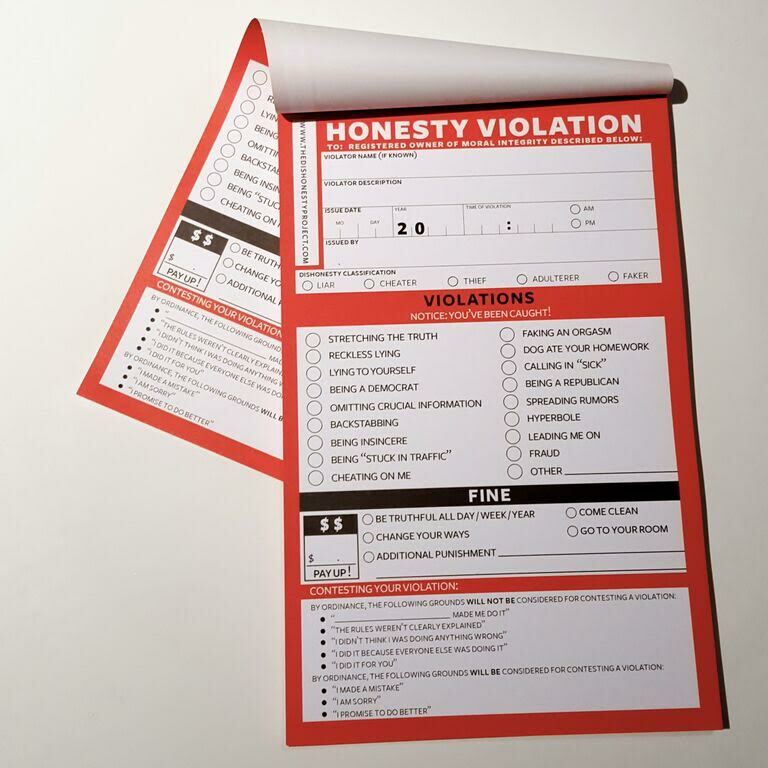 The film (Dis)Honesty is one initiative within a larger campaign on ethics, The (Dis)Honesty Project, which seeks "to create a safe space where we can explore the complicated truth(s) of the matter and improve our own behavior and that of the world around us." In addition to the film, Melamede and Ariely, whose partnership brought this project to life, have released an interactive website with additional resources and a forum where users can share and connect with one another. As a part of their educational work, they have also created a corresponding discussion guide for families and organizations that provides the tools needed to break the film down into digestible key themes and issues. By creating and distributing educational materials to better contextualize and personalize the film's issues on its website, the project empowers viewers to participate in meaningful discussions at screening events and potentially provides support to those who commit to behavioral changes as a result. (Dis)Honesty is distributed by Bond 360 and is available for individuals to watch online on a number of VOD platforms and for educators through ro*co films, allowing people to bring the film into the places where they're already meeting to discuss related issues like academic dishonesty. 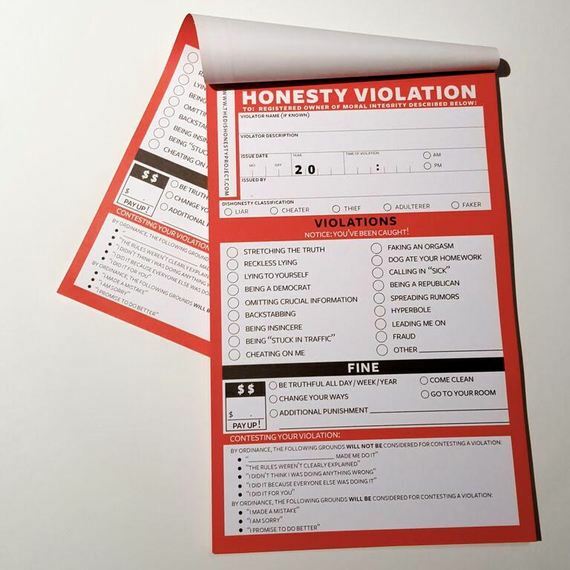 The (Dis)Honesty Project has also created clever merchandise, including my personal favorite, an Honesty Violation pad, all of which are available to purchase and use at organizational events, increasing the reach of the film's message and The (Dis)Honesty Project's branding. Additionally, much of the film's bonus content is now on Youtube, including short, powerful videos featuring the late filmmaker Albert Maysles and Senator John McCain. By publishing these shorter videos online and sharing them on social media, they're creating new entry ways into the project, all of which lead back to their website. Through The (Dis)Honesty Project, Melamede and Ariely can galvanize greater support around the ethical issues featured in the film as well as broaden their scope to include relevant topics that aren't addressed directly by their documentary, but are making the headlines. In many ways, it's the right film for the time, and given the seemingly endless supply of dishonest acts revealed in the media, like Volkswagen's cheating software and "Deflategate", the framing of their project allows them to participate in online discussions around current events as they arise. 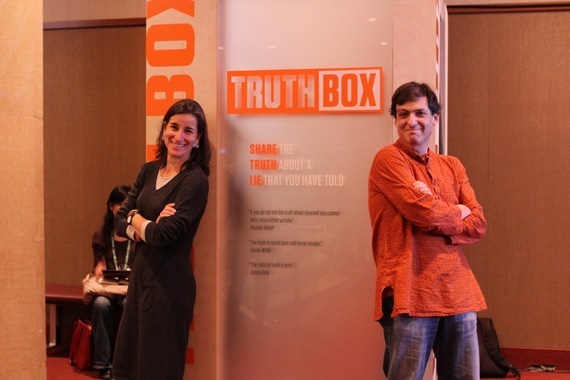 One of the most exciting pieces of Melamede and Ariely's collaboration on this project is the creation of the Truth Box, a traveling story booth that allows participants to become a part of The (Dis)Honesty Project by stepping inside and sharing an experience on camera about a lie they've told, which is then distributed on the project's website and social media pages. The (Dis)Honesty Project also collects and shares self-recorded YouTube videos tagged with #shareyourlie. As of this writing, there are 25 videos and thousands of views. The Truth Box and #shareyourlie videos provide participants with the almost therapeutic opportunity of sharing their truth with the world, while also giving the project's online audience interesting and often intimate new videos to watch. While not every filmmaker will be able to create their own traveling recording studio like the Truth Box, it's important to note how effective sharing audience-generated content can be when thinking about ways to keep your film's online community engaged. Documentary films are uniquely able to speak truth to power, often creating new public dialogues and sometimes even challenging entire industries. The (Dis)Honesty Project's work addresses both the short-term need for individual behavioral adjustments and more sweeping, long-term systematic changes. Yael Melamede's work with The (Dis)Honesty Project is a great example of how to set up a film project to maintain momentum and achieve long-term goals. Her film (Dis)Honesty is an excellent educational tool, and through The (Dis)Honesty Project, it has the potential to reach educators nationwide and ethics reform advocates working across a wide range of industries. With too few female filmmakers in the field getting recognition, it's important to also celebrate the achievements of women like Melamede and share their stories of success. I look forward to seeing the systematic changes to come that were inspired by The (Dis)Honesty Project over the next few years as Melamede and Ariely's work continues. Learn more about The (Dis)Honesty Project at thedishonestyproject.com. - Alexandra Pearson is a member of NYWIFT. She is a Campaign Manager at Picture Motion, where she works on strategy development for impact film campaigns. Learn more about Picture Motion at www.picturemotion.com and NYWIFT at www.nywift.org.